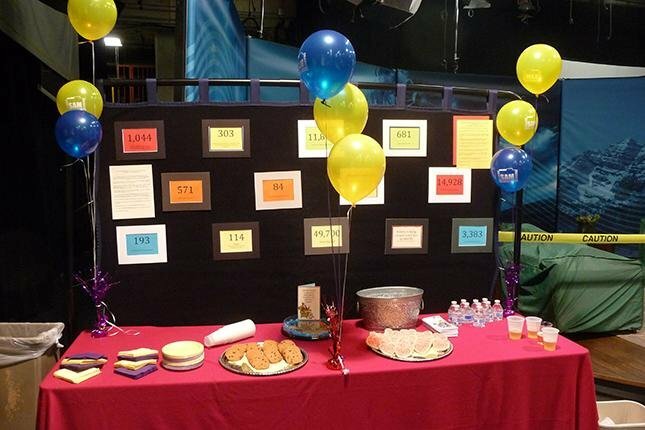 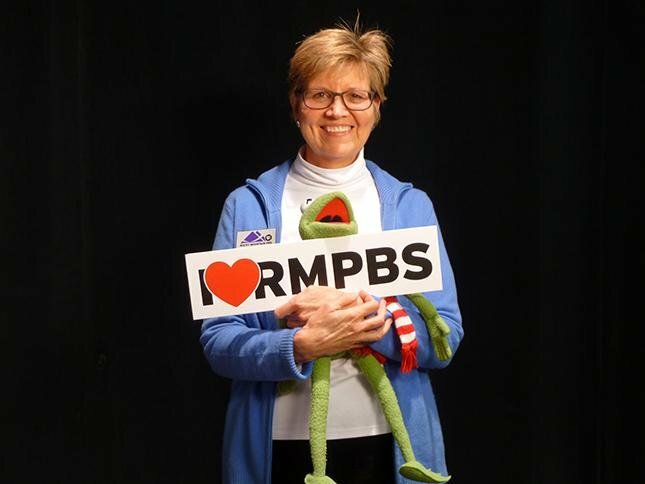 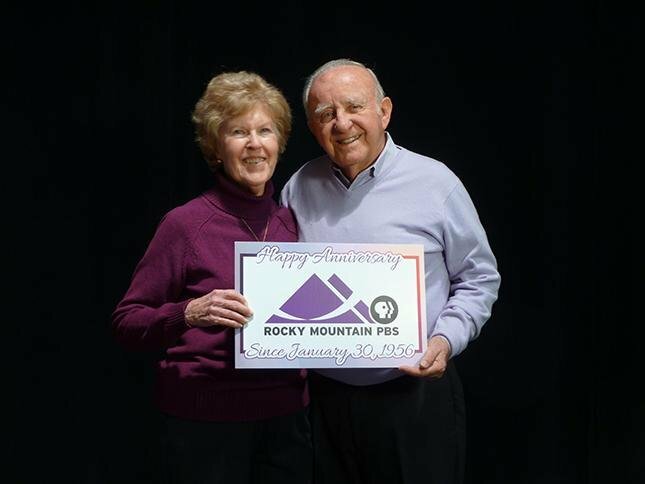 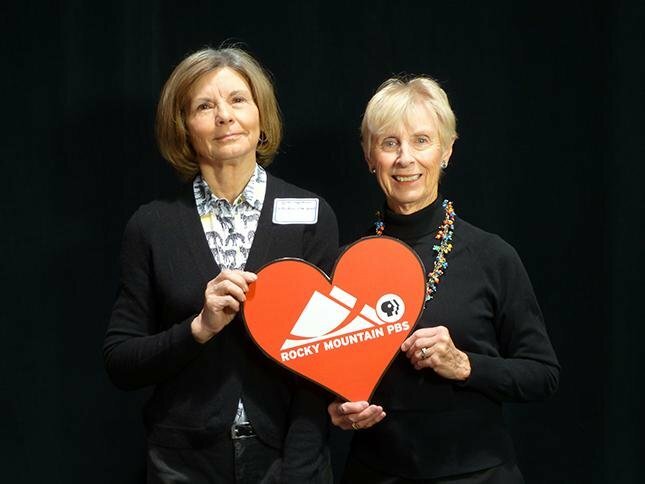 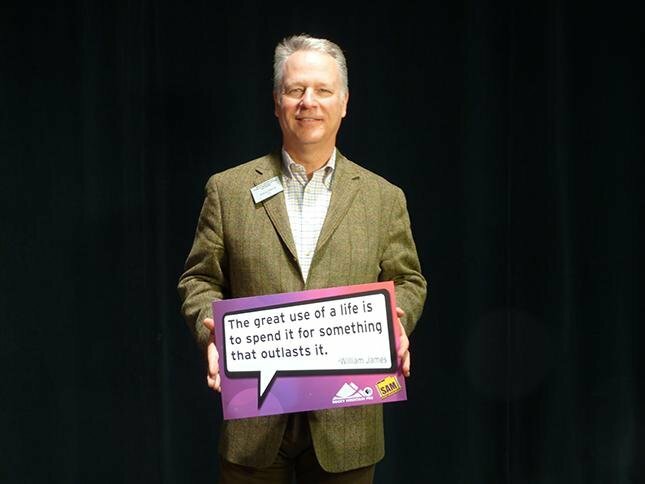 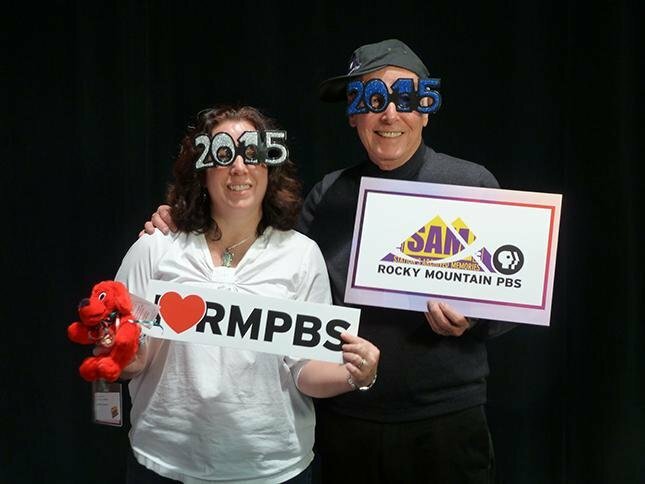 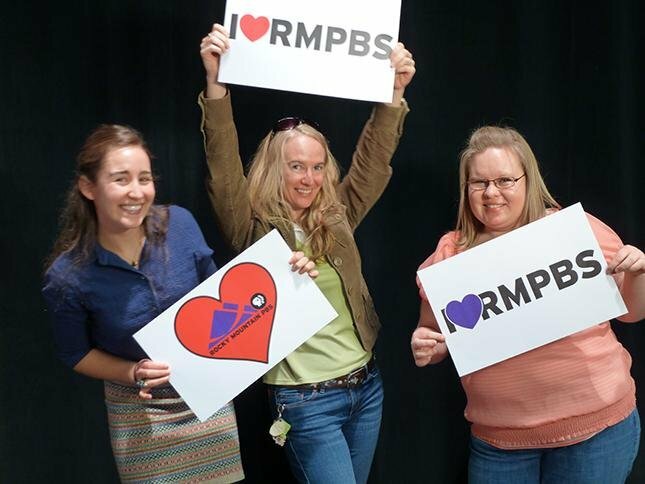 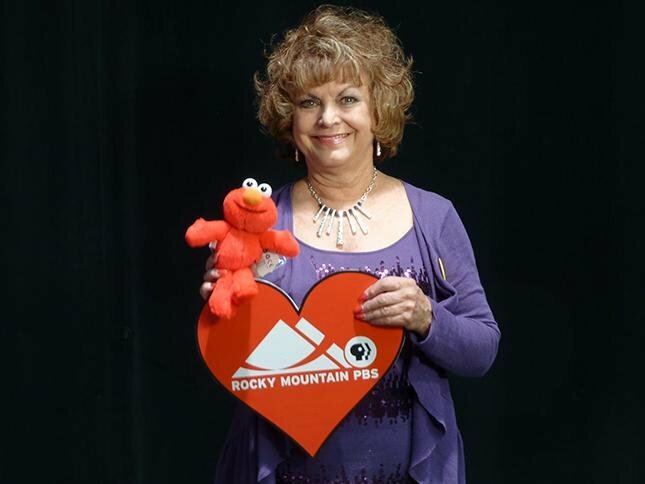 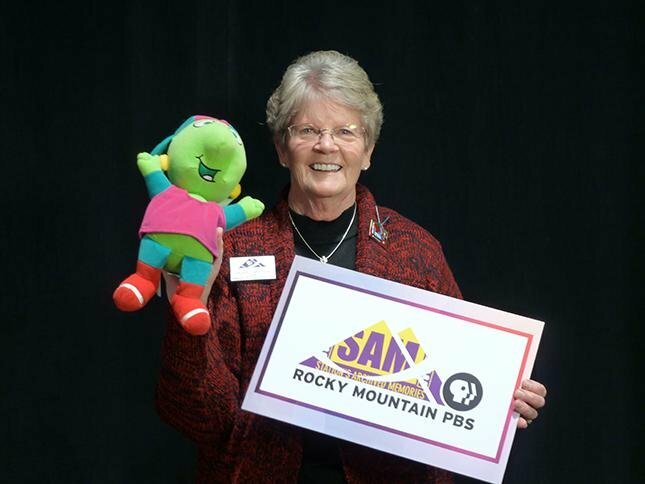 On January 30, 2015, Rocky Mountain PBS proudly celebrated its 59th anniversary. 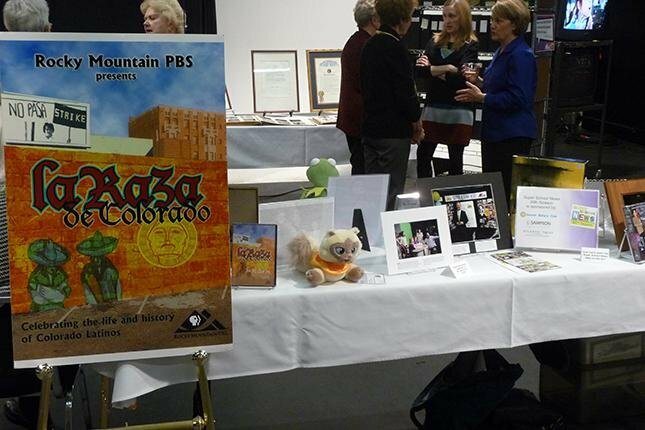 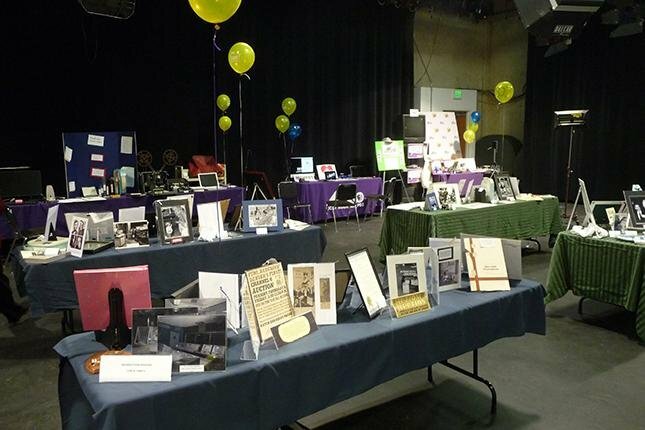 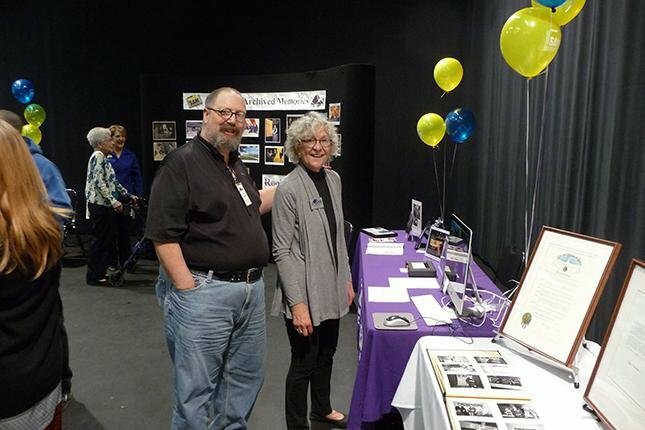 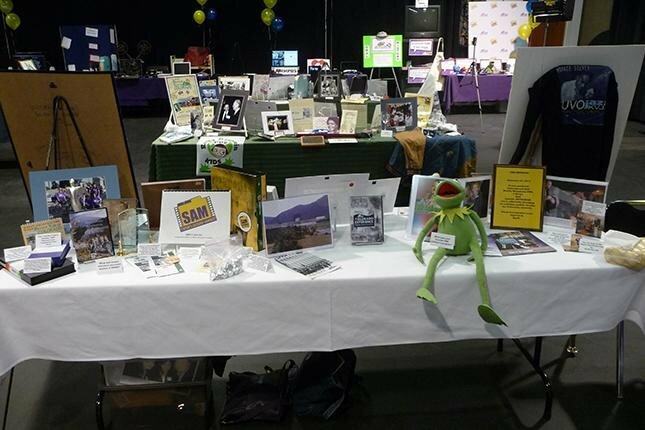 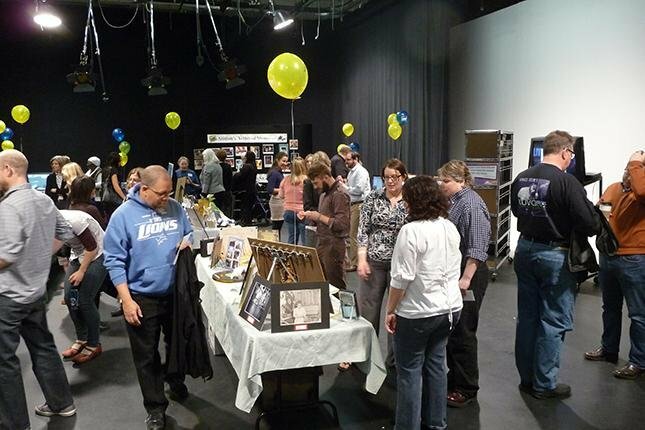 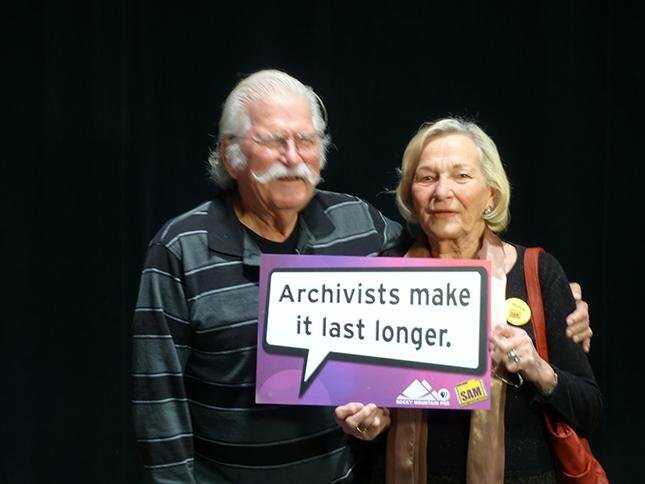 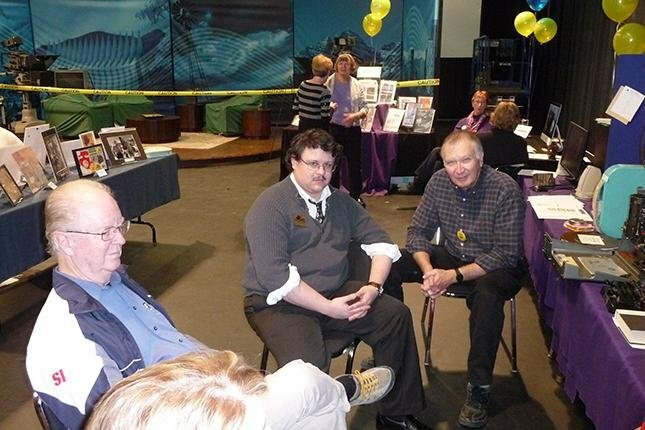 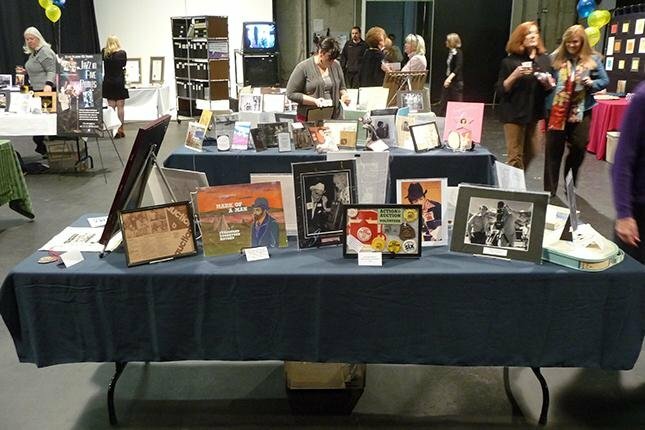 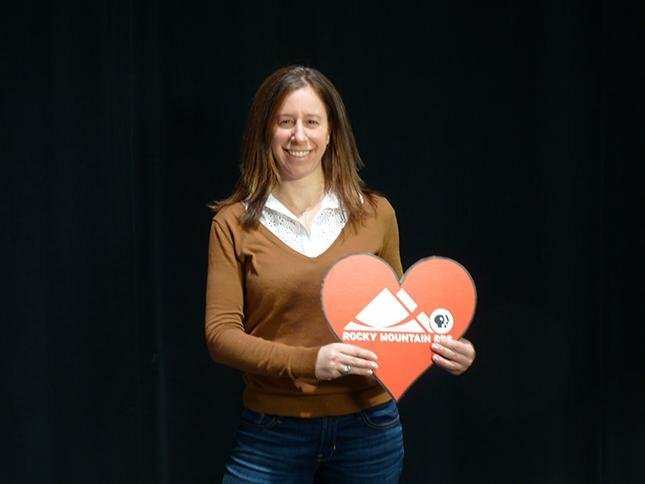 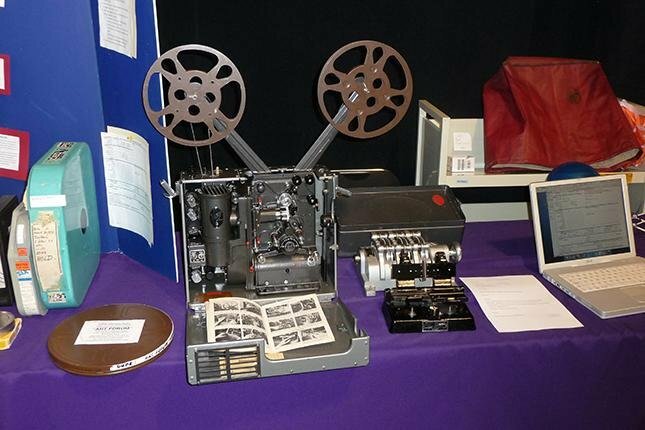 To commemorate the occasion, the volunteers of Station’s Archived Memories (SAM) hosted an Open House in Studio 1 to display a portion of the extensive Rocky Mountain PBS archives. 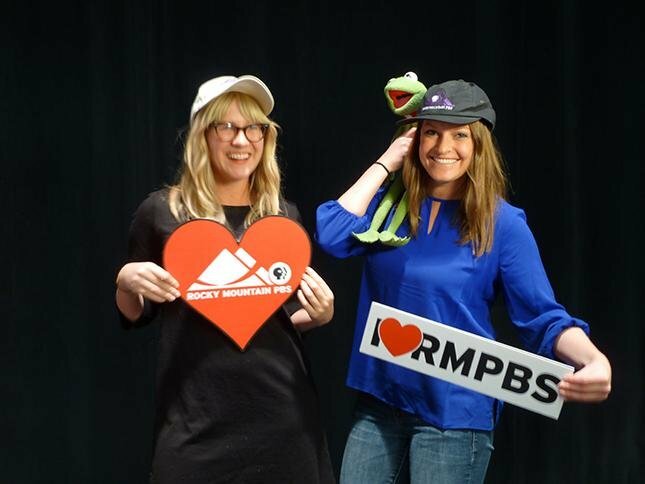 The entire staff (KTSC, KRMJ, KRMA, KUVO and I-News) as well as the RMPBS Governing Board and Volunteer Board were also invited to attend. 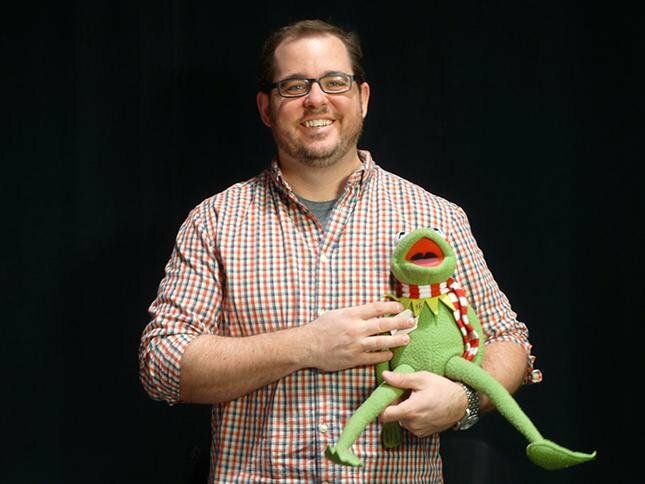 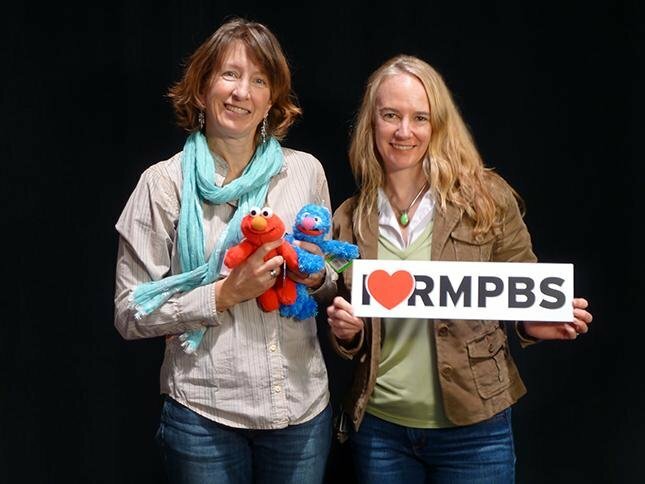 Station’s Archived Memories, founded in 2000, is totally unique within the entire public broadcasting system. 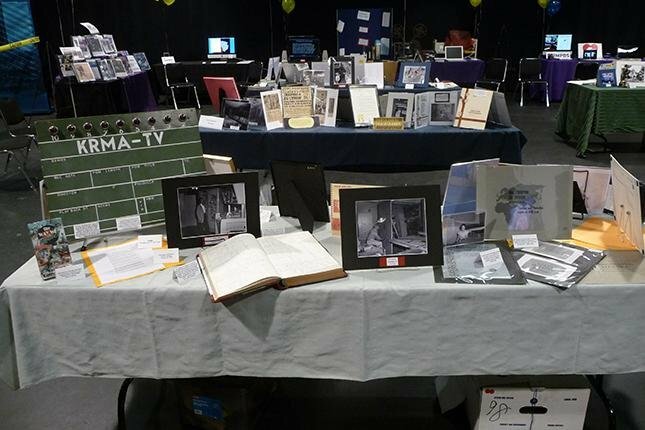 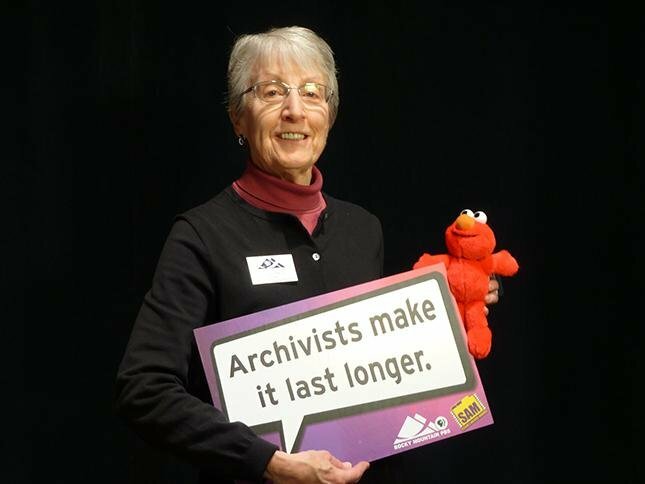 The archive project was volunteer-created and continues to be volunteer-driven. 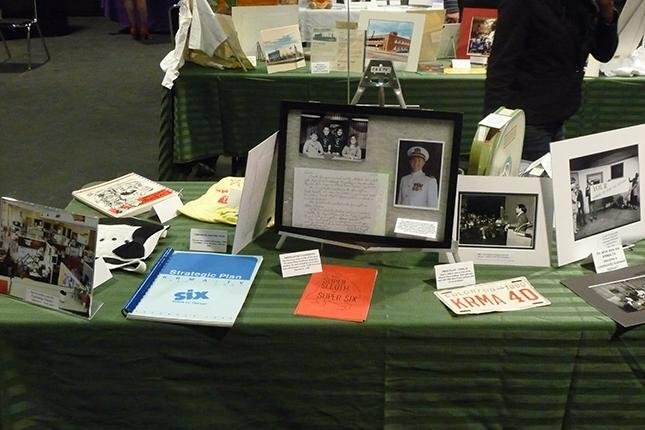 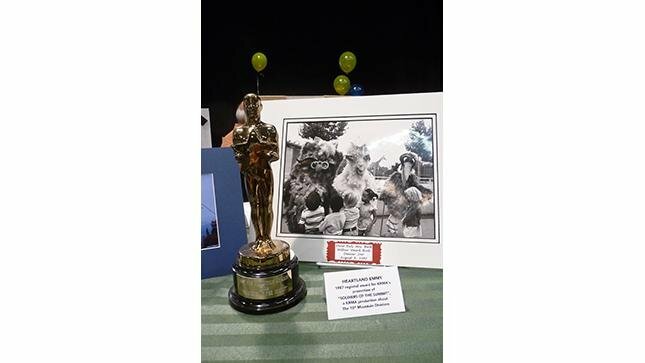 Over the past fifteen years, volunteers have collected and developed an incredible archive of the station’s history that contains a massive combined collection of over 76,000 documents, local productions, photographs, memorabilia and oral histories. 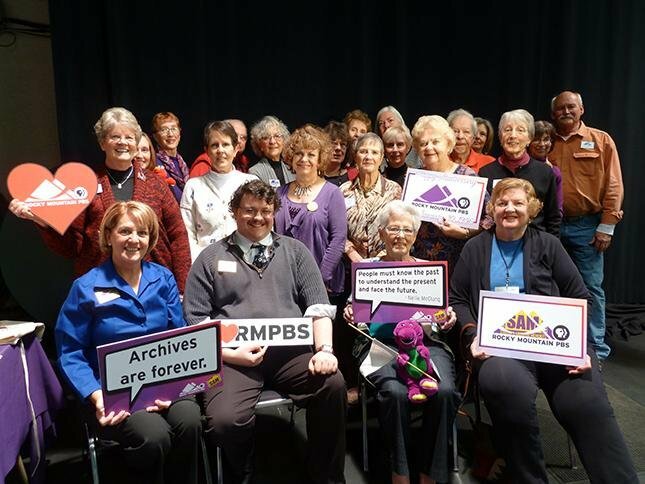 The archives are entirely digitized and available for use and research by Rocky Mountain PBS staff and volunteers as well as the greater public. 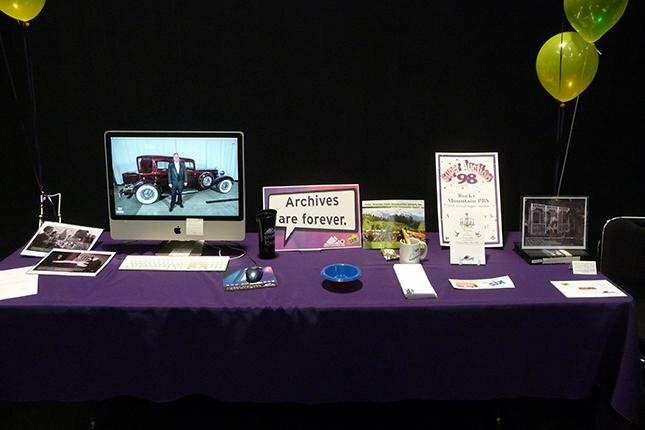 The SAM exhibit, displayed throughout studio one, included superbly organized “By The Decade” collections of memorabilia, photographs, research, oral histories and more. 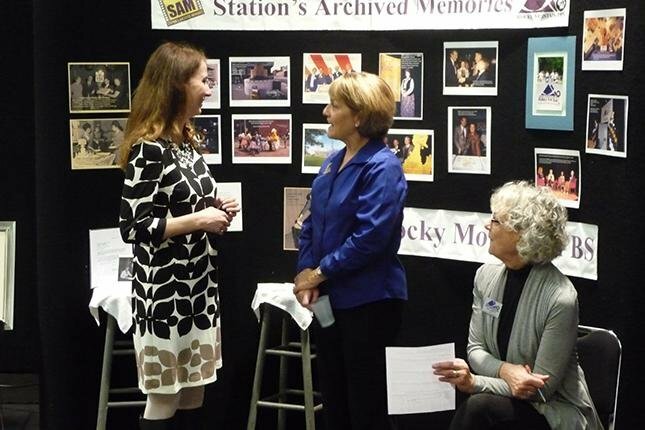 There was even a Photo Booth where guests could have their photograph taken to commemorate the station’s 59th anniversary. 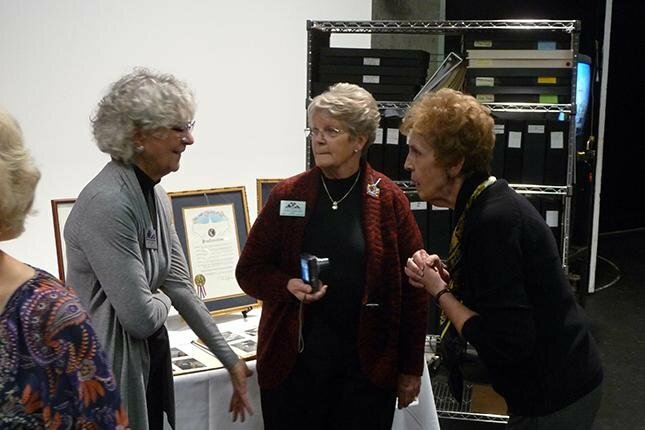 Guests were encouraged to search the SAM databases to discover and browse the variety of content within the archives, to find a specific photograph, to listen to an oral history interview or to find answers to curious questions pertaining to the history of Rocky Mountain PBS. 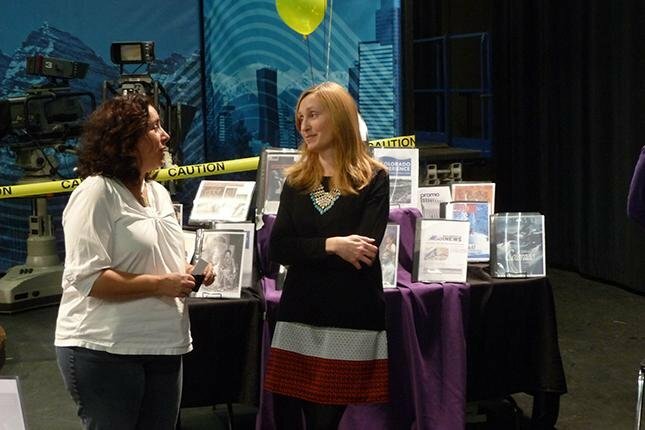 Aside from celebrating the station’s 59th anniversary, the purpose of the SAM Open House was to increase awareness of the depth of information that SAM has to offer to the Rocky Mountain PBS staff in the way of archived materials that can assist in the production of current and future programming, provide answers to historic questions, provide materials for station events, publications, displays and more – particularly as the staff prepares for the station’s approaching milestone 60th anniversary in 2016.